The Betta splendens, or "Siamese Fighting Fish", are probably one of the most commonly sold fish next to the Goldfish and the Guppy. 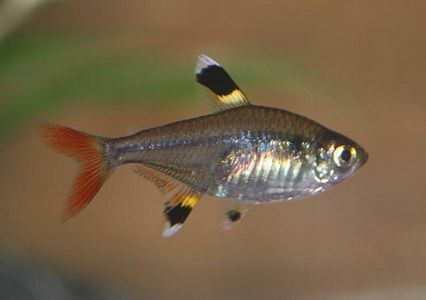 Thanks to selective breeding, they are available in a huge range of colours and tail types. It is most often sold alongside the myth that they can live in tiny bowls, this myth is just that however. Read the above article for the proper way to keep these attractive and curious tropical fish.